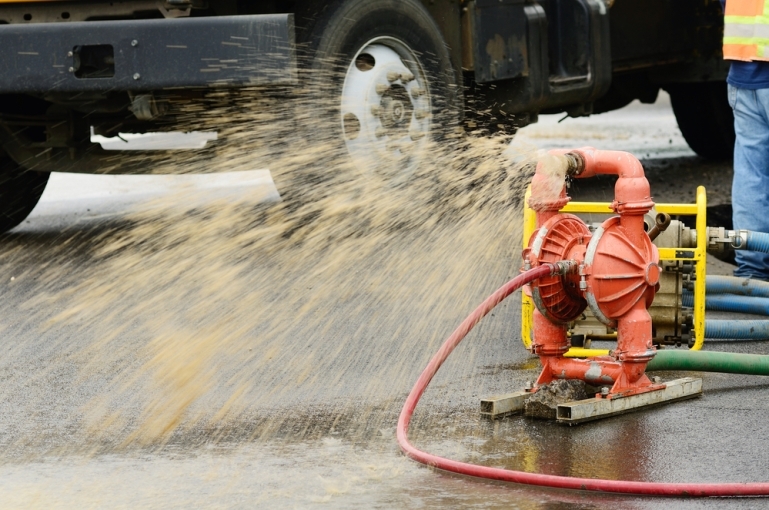 No matter what your needs are, if you have to use a water pump, then you want to make sure that it’s working in tip-top condition at all times. This is particularly the case if you only use it every so often to remove excess water from certain areas, as it can be a while between uses and you want to make sure that it stays in working order in the meantime. In this article you will learn How to Clean a Water Pump properly. Usually, the best way to maintain your water pump is to keep it clean, which means that you should be able to take it apart and remove any dirt, debris, or excess gunk from the inside that may be clogging the device or preventing it from working. In fact, if your pump doesn’t seem to move water like it used to, then it could just be dirty on the inside. Fortunately, cleaning your pump is a relatively straightforward process, meaning that you don’t need anything more than a little elbow grease and some patience. To help you get the best results, we are going to go through the various steps you need to take to get your water pump back into sparkling shape. To ensure proper servicing, we highly recommend that you do this each time you use it so that it won’t be dirty while it’s sitting unused. The longer that stuff stays inside the pump, the harder it will be to remove when the time comes for cleaning. If your pump doesn’t use screws to keep the cover on, then you won’t need a screwdriver for this tutorial. If you’re not sure, however, then it’s always good to keep one on hand just in case you encounter a cover that is screwed on. If you want things to go as smoothly as possible, set your pump down on a table with the buckets of water nearby. The large bucket will be used for testing purposes, so that can sit on the ground. Try to make your cleaning station as convenient as possible, meaning that if you want to pull up a chair or anything, feel free to get comfortable. The whole process won’t take very long, but there’s no reason to work harder if you can help it. There are plenty of different models of pumps out there, so we can’t say for sure how yours will come apart. However, as a general rule, water pumps have a plastic covering to protect the impeller and ﻿﻿internal compone﻿﻿nts. As we mentioned, sometimes these will be sealed with some screws, while other times they may latch together some other way. Usually, there will be a cap or protector of some kind over the impeller to keep it from jamming or coming loose. In most cases, this cap will be tight, so you will have to use your pliers to get it off. This section should be a relatively simple device that consists of an impeller blade, a rotating metal bar and some kind of fastener. Take everything out piece by piece. What you want to remember is how it all fits together as well so that you can put it back. In some cases, the impeller needs to face a certain way to allow the water to flow in the right direction, so pay attention to how it’s positioned before you remove it. You should be cleaning each component as you go, and if you’ve used your water pump multiple times, you will most likely see a lot of dirt and debris inside the unit. To clean it, simply remove any materials that are stuck on. You don’t have to wash it with soap or anything unless your pump is used for potable drinking water. If that is the case, then make sure to sanitize it rather than washing it as soap can leave a residue. The other thing you will want to do is polish the impeller rod with some steel wool. This will help it run more smoothly in the future. Reinstall each component as you removed it and make sure that it’s secure. Then put the cap back on and tighten it. Finish assembling the rest of the pump and make sure that it all locks into place. If the unit had screws, put them back in and tighten as much as possible. Use the large bucket of water to make sure that your pump is working properly. If necessary, hook up a hose to ensure that the flow is heading in the right direction. If it’s not, then that means your impeller was replaced backward, so you will have to take it apart and reverse the blade. Once you’ve tested your pump, you’re all ready to go. As far as projects go, this is probably one of the simplest and easiest you can do on your own. As we mentioned before, you will want to do this regularly to ensure that your pump is always in prime working order. If you only use the pump once or twice a year, then make sure to clean it after each use so that it doesn’t stay dirty between operations. You brought up a great point about how keeping a water pump clean is the best way to maintain it because when you remove dirt and debris stuck inside you’ll prevent potential clogs. I think it’s a great idea to take good care of any equipment you own, and as part of that, I think it’s important to find a professional that can do actual repairs. Sometimes when just cleaning and maintaining it yourself you can miss important things. Thanks for the tips for cleaning a water pump. I am going to buy a new pump soon, and I want to make sure I know how to take proper care of it. I never thought to clean each component as you take it apart. It makes sense that this would be the best way to ensure every bit gets clean, though. I will keep this in mind. A good friend of mine was interested in getting a well pump and was asking about the way it would be maintained. She would benefit from being told to test the pump to make sure it is working properly after being cleaned. I will be sure to let her know this so that she gets the best results. Thanks for your tip to was a water pump by just rinsing it so that there is no dirt left on it. I also like how you said that soap need only be used when you are going to drink out of it. My cousin works in the industrial businesses, and he is looking into bore/water pumps; I’ll pass on our post. It sure raised my spirits to know that a well pump does not need specialized tools to get cleaned and that effort and patience are the only things needed. This is good to know because we plan on getting a well pump installed very soon. Since we will be using it frequently, I assumed that we will be needing to clean it frequently as well. Thank you for sharing this.